In participation with South Island Art Day 2018, Alisan Fine Arts Aberdeen will mark the occasion with a special showcasing of works by Yi Kai and Wu Shaoxiang. Under the influence of globalization, Chinese diaspora artists look nostalgically back upon their homeland, infusing their artworks with emotions and philosophies related to their multi-cultural experiences. Yi Kai and Wu Shaoxiang both endured the Cultural Revolution as young men and moved abroad in 1989 to develop their artistic careers. 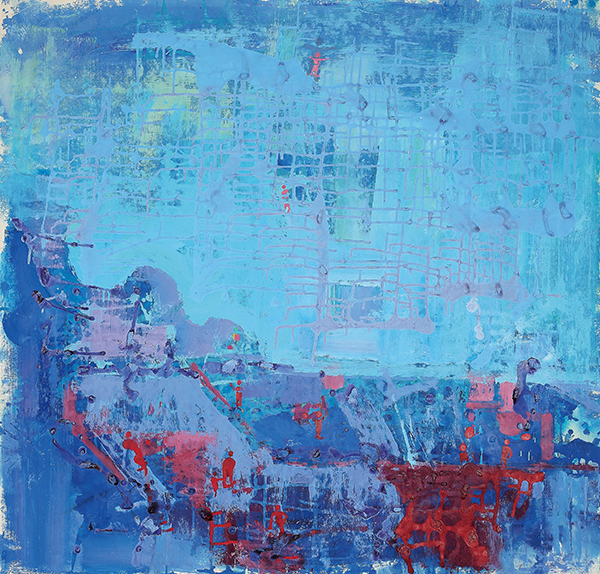 In his abstract, often chaotic landscapes Chinese-American artist Yi Kai expresses his examination of East-West interaction as well as the relationship between individuals and crowds, and civilization with technology. Meanwhile, Chinese-Austrian sculptor Wu Shaoxiang uses forms and symbols to convey social messages through forms imbued with humour and social commentary, particularly on the trend toward mass consumerism. Both of these artists are grappling to synthesize the more rustic, provincial China of their youth with the industrialized and globalized world in which they live now, and correlate it to the astounding transformations of commercialization and innovation that inspire the current generation's "Chinese Dream" of advancement and prosperity.